Surface Pro 3 isn’t a superb tablet (but that may be OK) – Carpet Bomberz Inc.
There’s a difference between a tablet and a pen tablet. MS really committed to the pen tablet back in 2002 with Win XP Tablet Edition. That’s when OneNote hit the market and it’s been a pen friendly app from the get go. I challenge all competitors to achieve the level of function MS has achieved with the Surface Pro with a pen stylus. If you want or demand to use a pen with your tablet, go Surface Pro. If you want to just sit back and tap/swipe/read get just a tablet, not a pen tablet. 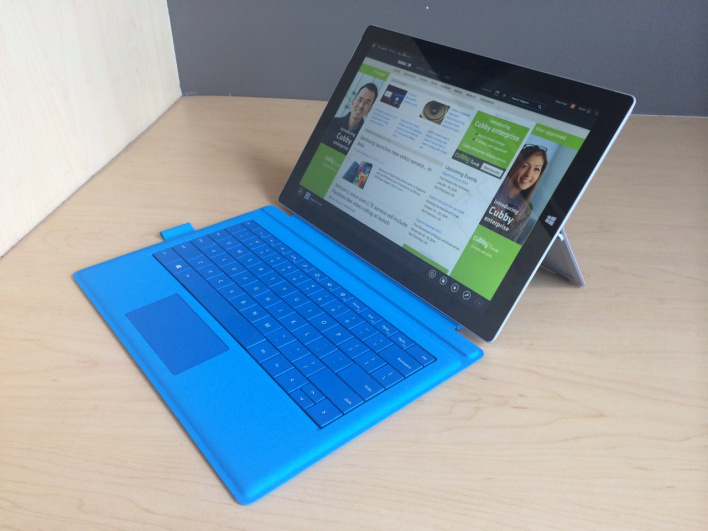 Since last week, I’ve been using the Surface Pro 3 review unit Microsoft loaned me on a nearly full-time basis. I normally use a Chromebook(s goog) for my computing activities, both work and personal, so it has been a bit of an adjustment. So far, though, the Surface Pro 3 has worked quite well for me, at least as a laptop. The device isn’t just a laptop, though — without the optional $129 Type Cover, it’s far more of a tablet. So after getting through my work days, I’ve put my current tablets aside — an iPad Air(s aapl) and Google Nexus 10 — and used the Surface Pro 3 as a slate.